Every January we embark on a three-day mission to count our homeless neighbors. We need your help in this effort. LAHSA is looking for thousands of volunteers throughout Los Angeles County to participate in the 2018 Greater Los Angeles Homeless Count, January 23-25. To sign up to volunteer, go to theycountwillyou.org. You can also help us spread the word. Click here for Homeless Count promotional materials where you’ll find flyers (in Spanish, English and Korean), social media friendly graphics and more. Volunteering is safe, easy and requires no advance training. A few hours of your time will help us gather data to best address the needs of our homeless neighbors, because everyone counts, no matter where they live. 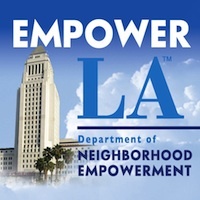 About the Los Angeles Homeless Services Authority (LAHSA): The Los Angeles Homeless Services Authority (LAHSA) is a joint powers authority of the City and County of Los Angeles, created in 1993 to address the problems of homelessness in Los Angeles County. LAHSA is the lead agency in the HUD-funded Los Angeles Continuum of Care, and coordinates and manages over $243 million annually in federal, state, county and city funds for programs providing shelter, housing and services to homeless people.